Would you like to Experience Fishing? Did you know that Bear’s Den Lodge is a pilot site for this exciting program to help educate “women, children and new Canadians”? What about adults, yes, we will also teach adults. 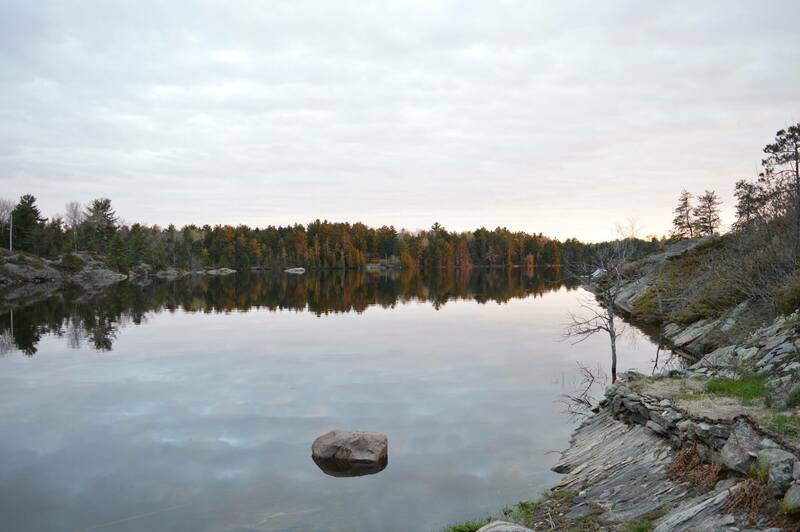 The pilot program was launched in the French River under the French River Resorts Association with hopes to spread the program idea to other outfitters in the Northern Ontario Region showing the opportunities that it creates. 2017, TNO’s (Tourism Northern Ontario) Experience Fishing Pilot Program was introduced to the Northeastern Ontario Region because of a growing concern that our fishing heritage has was not being passed along to newer generations. These aims of educating younger generations of new anglers would keep the tradition alive along with revitalizing that particular section of the tourism market by making it fun and safe experience. Bear’s Den Lodge for the past 32 years has been teaching the experience and knowledge of fishing in our area of the Lower French River, so, we decided to jump on the initiative, took the training to be one of the two forerunners in the pilot program. 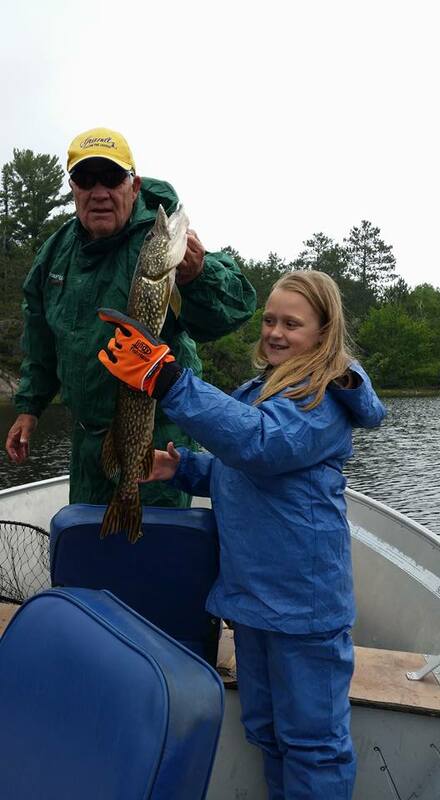 Moments shared by families experiencing fishing on the French River while making memories together. Training includes a variety of skills from fish identification, regulations, proper fish handling, preparing your rod with tackle, types of tackle, use of live bait, casting and more. Preparing the tackle, learning to tie knots for lures are a few of the educational skills taught. 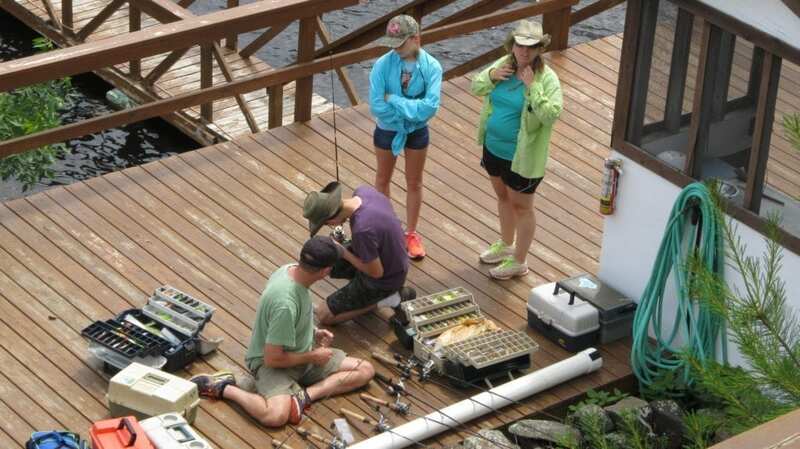 Guide, Joe Barefoot teaching guests new to the experience of fishing how to cast and landing a pike. 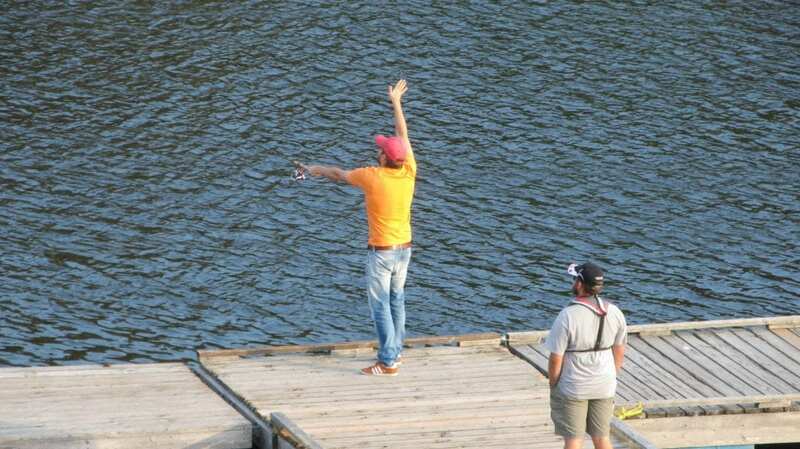 Teaching casting skills produces pike for students to photograph. Soon the business season will be coming to a close for 2017, but there is still time to learn to fish. 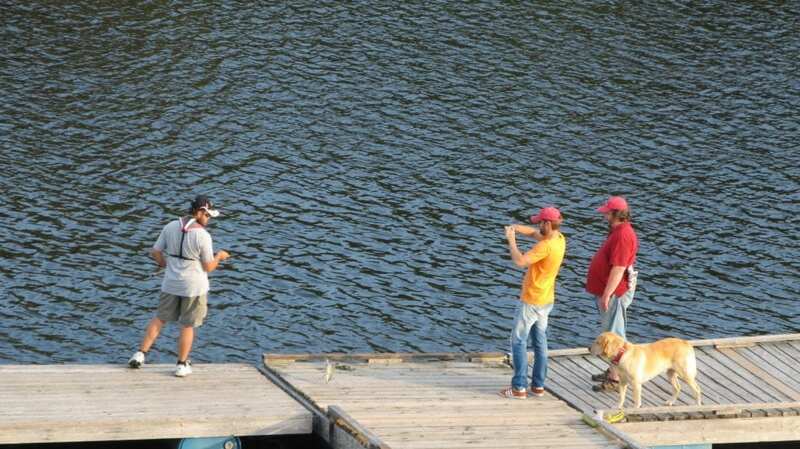 What is more Canadian to share than fishing? These brothers created an experience they will never forget. His brother from Germany fulfilled his Canadian experience by learning to fish and catching,photographing and releasing a bass, pike along with missing a few other opportunities until they refined the skills guide, Joe Barefoot taught them. It is time to reflect more on the program itself and the impact it’s made with new customers and our business by sharing the fishing heritage for years to come. Authored by Joe Barefoot, M.B.